It’s not a disaster on a global scale. In fact it barely rates a fluttered eyelid in the grand scheme of things. Nevertheless it is a holiday calamity. I’ve forgotten to pack mascara! Fortunately I’ve lobbed onto an island that is redefining service standards. It’s one of the upsides to having a Butler on call. Actually, there is no downside to such an indulgence. Within minutes, a Youngblood mascara magically appears at the door, delivered by the Spa Manager. 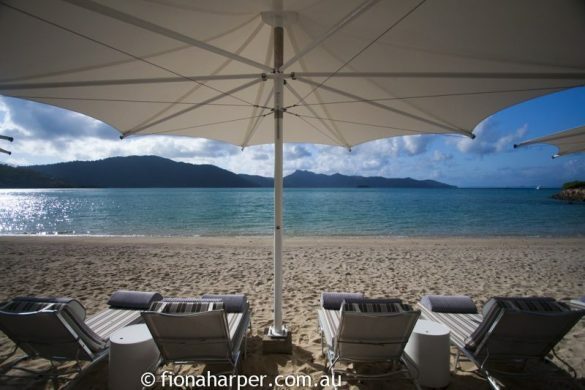 Given their impeccable credentials for excellence, it’s no surprise that One&Only Hayman Island delivers on many levels. Like any self-respecting Butler at the top of her game Maria’s manners are impeccable. Young and attractive with a rich accent thanks to her St Petersburg heritage, she whisks us away on arrival in an electric buggy to our Pool Suite. 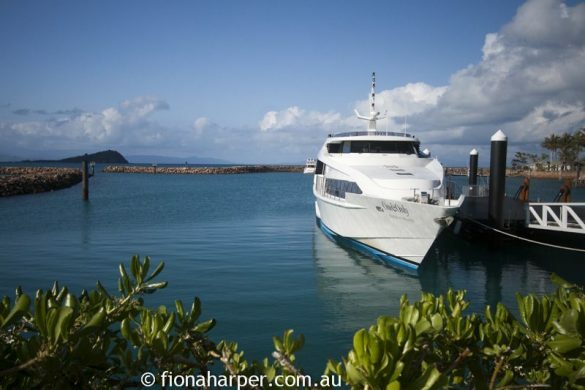 Having completed arrival formalities whilst sipping champagne on board the motor yacht from Hamilton Island, we slip into tropical holiday mode instantly. Discretely swooping hither and thither in her polished loafers and ELLERY designed uniform, Maria seems to be everywhere. Ever-smiling and gracious, her eyes are constantly assessing, ensuring nothing less than perfection awaits her guests. Reopening in July 2014 after an $80 million dollar refurbishment, One&Only Hayman Island brings a fine standard of hospitality rarely encountered on Australian soil. A private enclave in the Whitsunday Islands, there’s been a resort on Hayman since the 1950’s. Consistently updated over ensuing years, with the latest upgrade Hayman has rarely looked better. The beachfront Pool Wing, which overlooks Hayman’s iconic lagoon pool, has been transformed into a chic all-suite experience. 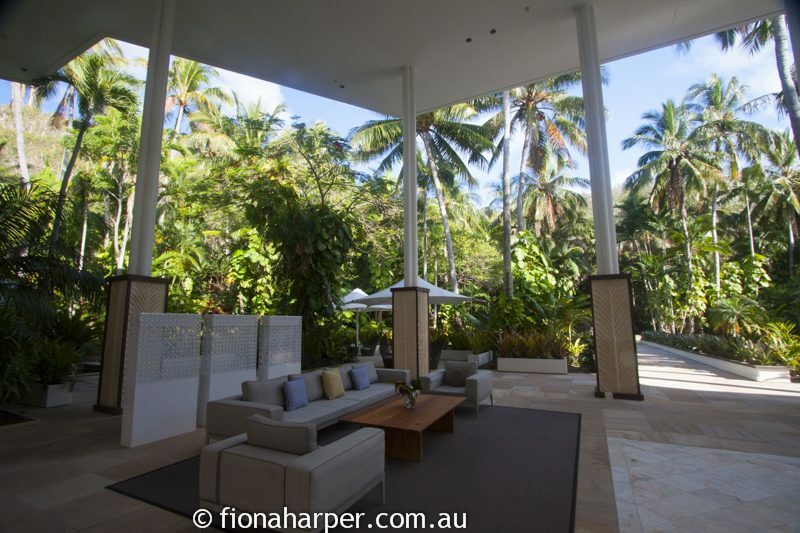 Pool level suites have terraces furnished with day beds, sun lounges and alfresco dining suites. 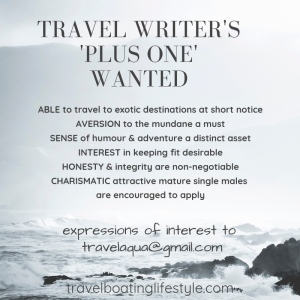 But their best feature is direct pool access, meaning that upon awakening you’ll need to do little more than roll out of bed, pop on a bikini and slip into the inviting water. A family-friendly pool dotted with over-water cabanas and an alfresco restaurant have been built on the beachfront near the Hayman Wing. Aquazure restaurant has a modern beach house style with a Mediterranean inspired menu. Think salads, grills, tapas and paella to share along with a gelato bar serving up delicious island-made deserts: perfect for casual dining poolside. Cuisine is a major focus at One&Only branded resorts and Hayman is no exception. Stepping into signature restaurant Fire, conversation is muted by scarlet translucent drapes and blonde wood panels as Hayley escorts us to a plush booth upholstered in red leather. Guided by Executive Chef Grant Murray, whose 18 year culinary background includes some of the globes finest dining rooms, the menu celebrates fresh seasonal produce with an emphasis, as the name suggests, on grills. Bourguignon braised Wagyu beef cheek melts like honey in the mouth, while pomelo & pink pepper spiced prawns served with squid ink tuille is a culinary work of art. Home to an impressive cellar, Fire stocks one of the largest collections of back-vintage Penfolds Grange in the country. 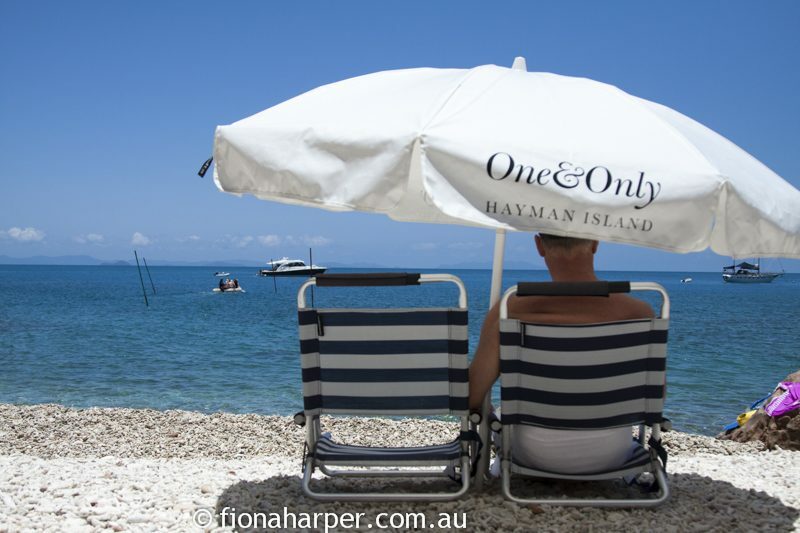 Thanks to an enviable location in the Whitsunday Islands, Hayman offers plenty of daytime diversions. When the tide’s high, there’s SUP boards, Hobie Cats and kayaks for exploring the shallow bay where turtles also hang out. Further along the beach in the shade of coconut palms, try an Ocean Dreaming massage in tranquil waters surrounded by a gently rising tide. Bodyism personal training sessions, snorkelling escapades to Blue Pearl Bay or sunset drinks on a sand spit poking above the Coral Sea keep guests entertained. 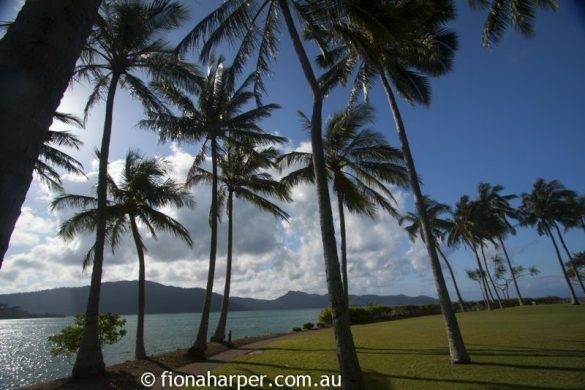 Further afield helicopter and float plane joy rides are a fun way to explore the Great Barrier Reef and surrounding islands. 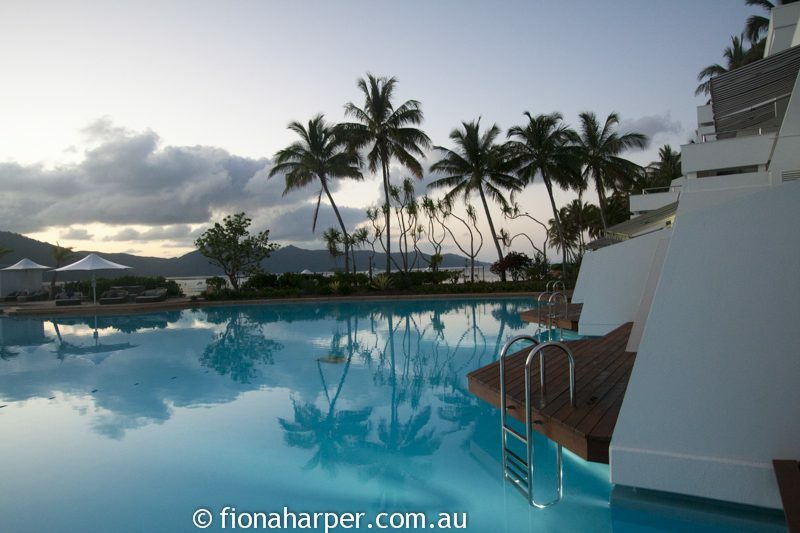 Then there is Hayman’s famous swimming pool. If you ventured no further than its cool waters, well, who could blame you? This article first appeared in World Spa and Travel magazine. 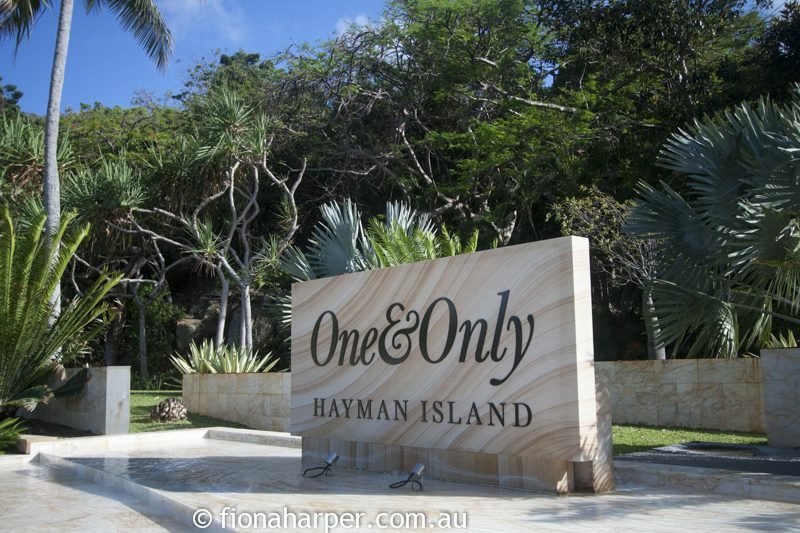 Fiona Harper was a guest of One&Only Hayman Island.